United Kingdom Second Lieutenant South Lancashire Regiment17/06/1918 1. A. 54. United Kingdom Rifleman S/45752Rifle Brigade07/11/1918 Age: 28 1. D. 1. United Kingdom Private 95098The King's (Liverpool Regiment)23/12/1918 Age: 21 1. C. 43. United Kingdom Acting Bombardier 55567Royal Horse Artillery09/09/1914 Age: 23 1. S. 46. United Kingdom Lieutenant Royal Air Force13/08/1918 Age: 27 1. C. 23. United Kingdom Private 30/393Northumberland Fusiliers11/06/1918 Age: 24 1. A. 48. United Kingdom Aircraftman 1st Class 631221Royal Air Force20/05/1940 Age: 20 2.B.17. New Zealand Flying Officer ( Pilot ) 422251Royal New Zealand Air Force13/07/1944 Age: 29 2.B. Joint25-26. United Kingdom Private ( Signaller ) 245966Durham Light Infantry07/06/1918 Age: 19 1. A. 45. United Kingdom Second Lieutenant Royal Air Force13/08/1918 1. C. 22. United Kingdom Lance Corporal 18549Northamptonshire Regiment30/10/1918 Age: 26 1. D. 9. United Kingdom Private L/7378Middlesex Regiment08/09/1914 1. B. 12. United Kingdom Private G/75006Royal Fusiliers07/10/1918 Age: 19 1. A. 8. United Kingdom Private 9194Argyll and Sutherland Highlanders09/09/1914 Age: 29 1. D. 45. 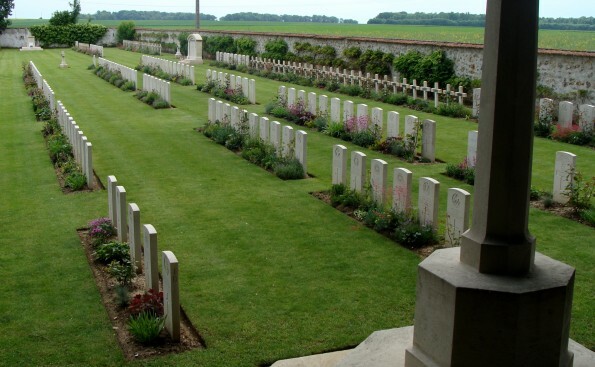 United Kingdom Private 1142Seaforth Highlanders08/09/1914 Age: 21 1. B. 13. United Kingdom Private 15208Lancashire Fusiliers16/06/1918 1. B. 6. United Kingdom Lieutenant 279563General List05/02/1944 2.C.46. Australian Private 38192Australian Pioneers20/11/1918 Age: 53 1. D. 7. United Kingdom Captain 20th Hussars03/09/1914 Age: 35 1. D. 25. United Kingdom Private S/41326Black Watch (Royal Highlanders)29/09/1918 1. B. 40. United Kingdom Private 14473Cheshire Regiment17/11/1918 Age: 21 1. D. 5. United Kingdom Private 27484Middlesex Regiment04/10/1918 Age: 20 1. C. 6. Canadian Private 475801Princess Patricia's Canadian Light Infantry (Eastern Ontario Regiment)28/12/1918 Age: 21 1. C. 49. United Kingdom Second Lieutenant Royal Welsh Fusiliers10/09/1914 Age: 20 1. D. 46. United Kingdom Private L/8597Royal Fusiliers12/09/1914 1. D. 39. Canadian Private 324Canadian Army Dental Corps01/05/1918 1. B. 3. United Kingdom Private 38719Gloucestershire Regiment15/11/1918 Age: 25 1. D. 4. United Kingdom Private 19225South Lancashire Regiment06/06/1918 Age: 20 1. A. 46. United Kingdom Private 5227 20th Hussars07/09/1914 Age: 27 1. B. 29. United Kingdom Private 203060Northumberland Fusiliers12/06/1918 1. B. 5. United Kingdom Private 41247Lancashire Fusiliers06/10/1918 1. A. 9. United Kingdom Private 6128Coldstream Guards08/09/1914 Age: 26 1. D. 19. United Kingdom Sergeant ( W.Op. [Air] ) 948192Royal Air Force Volunteer Reserve13/07/1944 Age: 24 2.B. Coll. Gr.20-23. United Kingdom Private 41249Lincolnshire Regiment12/06/1918 Age: 31 1. B. 4. United Kingdom Gunner 53967Royal Horse Artillery08/09/1914 Age: 27 1. B. 24. United Kingdom Private 241521East Lancashire Regiment24/10/1918 1. C. 17. United Kingdom Private 30006Royal Warwickshire Regiment30/12/1918 1. C. 48. United Kingdom Lance Corporal S/21997Gordon Highlanders27/07/1918 1. A. 51. United Kingdom Private 6939Somerset Light Infantry09/09/1914 Age: 45 1. B. 15. United Kingdom Private 2513 5th (Royal Irish) Lancers08/09/1914 Age: 24 1. B. 20. United Kingdom Private 52304Worcestershire Regiment13/06/1918 Age: 19 1. A. 50. United Kingdom Lance Corporal S/17401Seaforth Highlanders31/08/1918 Age: 24 1. A. 53. United Kingdom Private G/18948Royal Sussex Regiment16/10/1918 Age: 20 1. A. 5. New Zealand Flying Officer ( Nav. ) 392026Royal New Zealand Air Force13/07/1944 Age: 26 2.B. Joint25-26. United Kingdom Private 19069East Yorkshire Regiment02/02/1919 1. A. 52. United Kingdom Rifleman S/26608Rifle Brigade10/10/1918 1. A. 7. United Kingdom Lance Corporal 28471Gloucestershire Regiment08/11/1918 1. D. 8. United Kingdom Private 58933West Yorkshire Regiment (Prince of Wales's Own)12/10/1918 1. A. 3. United Kingdom Private 6966Coldstream Guards08/09/1914 Age: 24 1. D. 20. United Kingdom Lieutenant Royal Air Force21/10/1918 1. C. 41. United Kingdom Serjeant S4/086998Army Service Corps19/10/1918 1. C. 42. United Kingdom Private 8846Northamptonshire Regiment26/12/1918 Age: 27 1. C. 46. United Kingdom Lieutenant Royal Horse Artillery08/09/1914 Age: 28 1. B. 45. United Kingdom Private 8532East Lancashire Regiment09/09/1914 Age: 29 1. D. 44. United Kingdom Private 131540Machine Gun Corps (Infantry)20/10/1918 1. C. 13. United Kingdom Private 23918Royal Warwickshire Regiment09/06/1918 Age: 19 1. A. 49. South African Corporal 17348South African Infantry29/10/1918 1. C. 18. United Kingdom Major Queen's Own (Royal West Kent Regiment)02/09/1914 Age: 41 1. C. 4. United Kingdom Private 9609Coldstream Guards19/09/1914 Age: 24 1. B. 32. United Kingdom Private 241778Cheshire Regiment04/06/1918 Age: 20 1. A. 44. United Kingdom Private 6468Coldstream Guards08/09/1914 Age: 38 1. D. 21. United Kingdom Private 22374King's Shropshire Light Infantry02/11/1918 1. C. 19. United Kingdom Private 5835Coldstream Guards08/09/1914 1. D. 13. United Kingdom Lieutenant Royal Air Force19/10/1918 Age: 26 1. C. 40. United Kingdom Private 42733South Staffordshire Regiment13/10/1918 Age: 19 1. A. 1. United Kingdom Private 138138Machine Gun Corps (Infantry)17/06/1918 Age: 19 1. B. 7. United Kingdom Aircraftman 1st Class 548328Royal Air Force20/05/1940 Age: 21 2.B.15. United Kingdom Private 41169Royal Irish Fusiliers13/10/1918 Age: 27 1. C. 9. United Kingdom Private 7876South Lancashire Regiment07/09/1914 Age: 29 1. D. 29. United Kingdom Corporal L/2583 16th (The Queen's) Lancers08/09/1914 Age: 24 1. B. 43. United Kingdom Private 2nd Class 279823Royal Air Force12/09/1918 1. C. 39. United Kingdom Aircraftman 2nd Class 900320Royal Air Force Volunteer Reserve23/05/1940 Age: 32 2.B.19. Canadian Sergeant 520013Canadian Army Medical Corps12/05/1917 Age: 33 1. A. 40. United Kingdom Lieutenant 309880General List03/07/1944 Age: 39 2.B.3. United Kingdom Private 6751 2nd Dragoons (Royal Scots Greys)07/09/1914 1. D. 37. United Kingdom Lieutenant Colonel East Lancashire Regiment14/09/1914 Age: 47 1. B. 14. United Kingdom Private 39203South Wales Borderers04/06/1918 1. A. 42. United Kingdom Private 40531King's Own Scottish Borderers28/10/1918 Age: 25 1. C. 15. United Kingdom Private 7409South Staffordshire Regiment02/09/1914 Age: 28 1. B. 18. United Kingdom Second Lieutenant Royal Air Force13/08/1918 Age: 20 1. C. 25. United Kingdom Private TS/4760Army Service Corps13/11/1915 1. C. 1. United Kingdom Labourer 103217Chinese Labour Corps16/06/1918 1. B. 41. United Kingdom Private 109053Sherwood Foresters (Notts and Derby Regiment)10/10/1918 1. A. 6. United Kingdom Private 29298King's Own Scottish Borderers13/10/1918 Age: 19 1. C. 11. United Kingdom Driver French Red Cross Society14/04/1918 1. C. 33. United Kingdom Private 64328Welsh Regiment04/06/1918 1. A. 43. United Kingdom Shoeing Smith 1520 2nd Dragoons (Royal Scots Greys)07/09/1914 Age: 28 1. D. 38. Australian Private 4160Australian Infantry A.I.F.14/06/1916 Age: 39 1. B. 2. United Kingdom Aircraftman 1st Class 55219Royal Air Force18/02/1919 Age: 34 1. C. 35. United Kingdom Aircraftman 1st Class 297701Royal Air Force20/05/1940 Age: 36 2.B.18. Canadian Private 2203988Canadian Forestry Corps18/09/1918 Age: 24 1. B. 8. United Kingdom Private 6446 2nd Dragoons (Royal Scots Greys)08/09/1914 1. D. 10. United Kingdom Private 39313Lancashire Fusiliers02/10/1918 Age: 21 1. C. 8. United Kingdom Private 388059Royal Army Medical Corps10/06/1918 1. A. 47. Australian Flight Sergeant 423829Royal Australian Air Force13/07/1944 Age: 21 20-23. United Kingdom Sergeant ( Air Gnr. ) 802563Royal Air Force (Auxiliary Air Force)13/07/1944 2.B. Coll Gr.20-23. United Kingdom Private S/17086Cameron Highlanders28/12/1918 1. C. 47. United Kingdom Private 5712Coldstream Guards08/09/1914 Age: 28 1. D. 45. United Kingdom Lance Corporal 9349Coldstream Guards08/09/1914 Age: 24 1. D. 24. United Kingdom Private 248017Durham Light Infantry05/12/1918 1. C. 21. United Kingdom Private 29999North Staffordshire Regiment03/06/1918 Age: 34 1. A. 41. United Kingdom Lieutenant Royal Horse Artillery08/09/1914 Age: 28 1. B. 44. United Kingdom Corporal 627956Royal Air Force20/05/1940 2.B.16. United Kingdom Private 4961 2nd Dragoons (Royal Scots Greys)04/09/1914 Age: 22 1. B. 39. Canadian Flight Sergeant ( Air Gnr. ) R/108688Royal Canadian Air Force22/11/1942 Age: 25 2.B.1. United Kingdom Private 45048Royal Welsh Fusiliers16/11/1918 1. D. 6. United Kingdom Corporal 5203 20th Hussars18/09/1914 Age: 32 1. B. 42. United Kingdom Private 75769Northumberland Fusiliers11/10/1918 Age: 34 1. C. 10. United Kingdom Corporal 2774 2nd Dragoons (Royal Scots Greys)04/09/1914 Age: 28 1. B. 37. United Kingdom Private 202985Welsh Regiment04/10/1918 Age: 20 1. C. 7. United Kingdom Air Mechanic 2nd Class 17412Royal Air Force08/08/1918 1. C. 38. United Kingdom Private 7367Royal Inniskilling Fusiliers07/09/1914 Age: 32 1. B. 32. 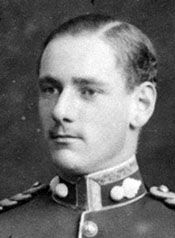 United Kingdom Second Lieutenant Royal Warwickshire Regiment24/11/1917 Age: 29 1. A. 55. United Kingdom Private 10426East Lancashire Regiment09/09/1914 Age: 24 1. B. 16. United Kingdom Sergeant ( Air Gnr. ) 1429948Royal Air Force Volunteer Reserve13/07/1944 Age: 22 2.B. Coll. Gr.20-23. United Kingdom Private 53237Lincolnshire Regiment19/10/1918 1. C. 12. United Kingdom Driver T/31071Army Service Corps10/12/1914 Age: 23 1. C. 2. United Kingdom Private 8019Coldstream Guards07/09/1914 1. D. 36. United Kingdom Sergeant ( Flt. Engr. ) 1892870Royal Air Force Volunteer Reserve13/07/1944 2.B.24. United Kingdom Acting Bombardier 52500Royal Field Artillery08/09/1914 Age: 25 1. D. 11. United Kingdom Rifleman S/32210Rifle Brigade28/12/1918 Age: 32 1. C. 44. United Kingdom Corporal L/1510 9th (Queen's Royal) Lancers06/09/1914 Age: 25 1. B. 25. United Kingdom Private 4841 9th (Queen's Royal) Lancers06/09/1914 Age: 38 1. D. 35. United Kingdom Private DM2/209078Army Service Corps21/11/1918 Age: 21 1. B. 9. United Kingdom Driver TS/3362Army Service Corps10/12/1914 1. C. 3. United Kingdom Private 31693King's Own Scottish Borderers13/10/1918 Age: 18 1. A. 4. United Kingdom Lance Corporal 5954 2nd Dragoons (Royal Scots Greys)04/09/1914 Age: 25 1. B. 38. 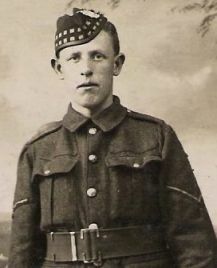 United Kingdom Private 59432Royal Scots09/11/1918 1. D. 2. Canadian Flying Officer ( Air Obs. ) J/10183Royal Canadian Air Force22/11/1942 Age: 26 2.B.2. United Kingdom Private 2nd Class 148129Royal Air Force13/07/1918 Age: 39 1. C. 37. United Kingdom Private 12928Northamptonshire Regiment01/01/1919 1. C. 45. 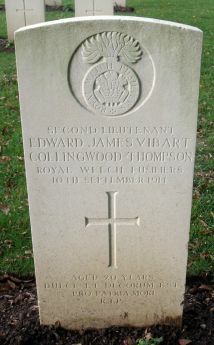 United Kingdom Private 252851London Regiment (Royal Fusiliers)06/11/1918 Age: 42 1. D. 3. United Kingdom Private 9682Royal Scots08/09/1914 1. B. 31. United Kingdom Private L/9287Middlesex Regiment08/09/1914 Age: 32 1. B. 10. United Kingdom Captain East Surrey Regiment08/09/1914 Age: 37 1. B. 21. 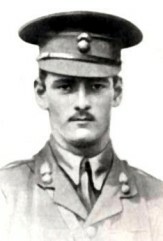 United Kingdom Serjeant D/3258 4th Dragoon Guards (Royal Irish)06/09/1914 Age: 24 1. D. 34. United Kingdom Serjeant ( Observer. ) 212112Royal Air Force13/08/1918 Age: 20 1. C. 24. 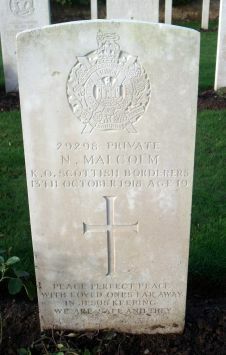 United Kingdom Private 205155West Yorkshire Regiment (Prince of Wales's Own)22/10/1918 Age: 24 1. C. 16. United Kingdom Private 147808Machine Gun Corps (Infantry)28/10/1918 1. C. 14. United Kingdom Private 34976York and Lancaster Regiment29/11/1918 Age: 40 1. C. 36. United Kingdom Private 48215Royal Scots12/10/1918 1. A. 2.